So it’s not “quite” finished yet. It’s fully functional but I would like to add a few more aesthetic features, and find any obvious bugs. But, what is CUTTS? 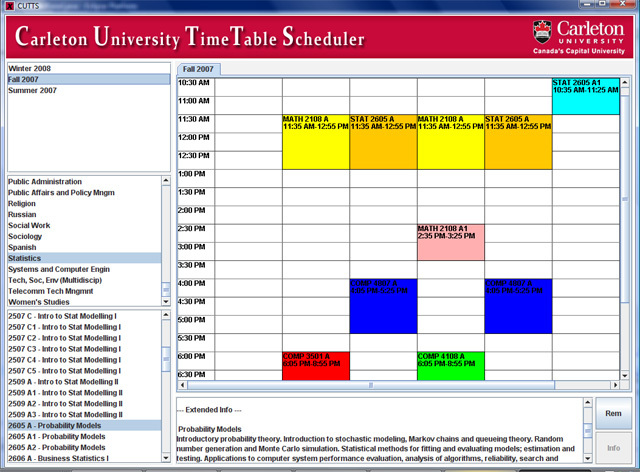 Carleton University Time Table Scheduler is a little something that I designed that combines the public schedule and timetable builder of Carleton Central with the descriptive blurbs on the Undergrad Calendar, and combines it all together under one window. Simple, manageable, and as current as the listed websites are. 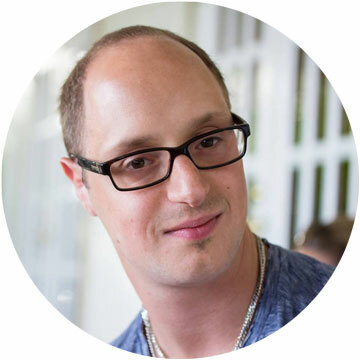 That is correct, CUTTS acquires all the course information dynamically in real time! I completely forgot to mention that I saw Phantom of the Opera last Friday (the 31st) but I’ll talk about it now. Best birthday present ever! Thanks mom & dad!!!!! I’ve always loved the soundtrack, but seeing it live was touching at an entirely different dimension. If anything, I was *slightly* disappointed with Greg Mills – I didn’t find that he sang his part in “All I ask of you” that well. John Cudia more than made up for it though, as he played the Phantom VERY well and sang the Phantom’s reprise of “All that I ask of you” superbly.